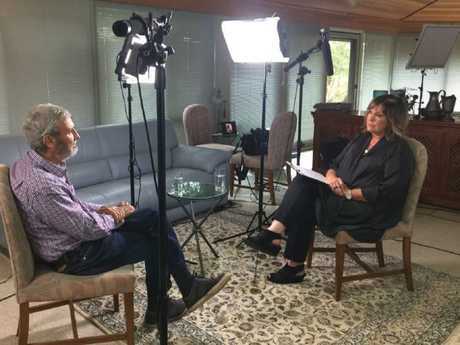 TRACY Grimshaw has revealed intriguing behind-the-scenes detail about her interview with scandal-hit Don Burke for Nine's A Current Affair. The former network star agreed to last Monday's televised chat after he was forced to deny myriad allegations of sexual harassment, indecent assault and bullying from ex-colleagues reported in an ABC/Fairfax investigation. 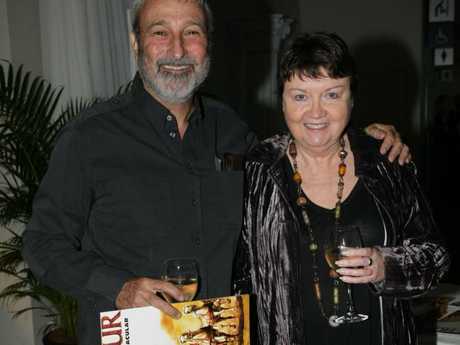 Grimshaw told The Australian she arrived at the gardening guru's home to be greeted by his wife Marea, who revealed Burke had had affairs, they had reconciled and were willing to answer questions about it. The ACA presenter had previously interviewed the couple about Marea's crippling illness two years earlier. But she did not think Burke's admission to affairs were "relevant" to the far more serious allegations she was putting to him. Grimshaw said the couple had known the investigation was coming for a month, and Burke, 70, was not looking well. "I thought Don looked really crook," she told the newspaper. "I think he looked very skinny. The pressure had taken a toll. He had time to prepare for it and probably a bit of time to worry about it." 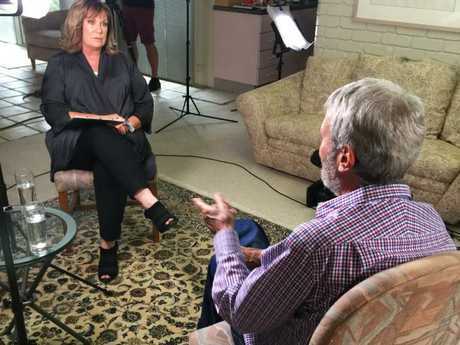 The veteran ACA host has known her fellow Channel 9 star in a professional capacity since the 1990s when she presented Today but has made it clear he "never crossed the line" with her. "I have heard the stories," she told the morning show last week. "I have never heard the stories the way they were presented yesterday obviously in the media." She told The Australian Burke "probably felt we had established a rapport and I would give him the most sympathetic hearing". The Burke's Backyard star used the opportunity to deny the allegations made by women who worked with him in the 1980s and 1990s, and said they may have come about because he swore a lot and wasn't always a nice person. He blamed the Harvey Weinstein scandal for creating a "witch hunt" and said he couldn't remember what had happened 30 years ago, but still denied the allegations because "that's just not me". He also said he suffered from Asperger's, although he hadn't had a formal diagnosis, and struggled to read body language and subtle cues people give off. Grimshaw said that as an interviewer, her job is to look for evasions and try to navigate around them to get answers. 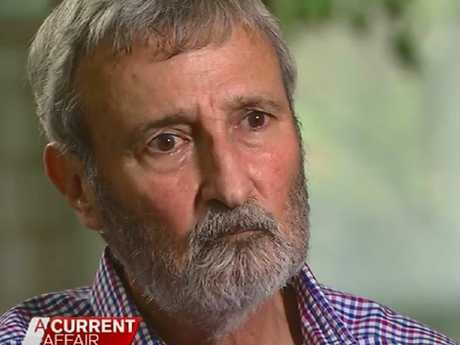 "He couldn't remember what had happened 20 or 30 years ago, but he could categorically say none of those things happened," she told The Australian. "They just seemed to be evasions to me so you keep plugging away until you get somewhere near the truth." But Grimshaw added that she did not think Nine, which has been heavily criticised following the allegations, had a particular problem with a culture of bullying. "I think you get monsters in any industry," she said. "I think if you don't have a handle on your ego and you have a bit of success in TV, it can present a bit of a perfect storm. "I have heard all the stories about the boys' club and other women at Nine will tell you bad stories about the boys' network but that has not been my experience. I have had a pretty happy time at Nine." She said former boss John Sorell had yelled at her and given her a hard time, but she could handle it. "I haven't found it a particularly bullying culture, which is not to say people were not bullied. Aged 21 I had not led a sheltered life - I had worked in public bars. That is a pretty robust environment. I walked into a ­robust environment and I'm still here." Grimshaw told Today the next morning she was surprised by the "level of denial" Burke displayed. "I thought that he would be more accountable when I sat down with him. I didn't expect the level of denial that we got," she told co-host Deborah Knight. "He was prepared to say, 'Look, I terrified people. I was a tough boss, I was a bear with a sore head. Maybe I bullied people.' He drew the line at the language that he was accused of using. He just couldn't countenance any admission that he had done that. "I think Don was a master of the universe in an era when there were no HR departments - it was an era when egos ran rampant. "I think he probably knows that now. In admitting that he made enemies, he was mean to people, he's understanding there is hatred. He is understanding he did things that inspired this kind of hatred. He is admitting that. I think that that was an era when everybody could get away with this stuff. "Privately, he indicated that there were grievances with some of his accusers. He wasn't prepared to air those grievances publicly. I did say to him at one point in the interview, 'If you have a defence here Don, now is the time to say it, because these people are coming forward. 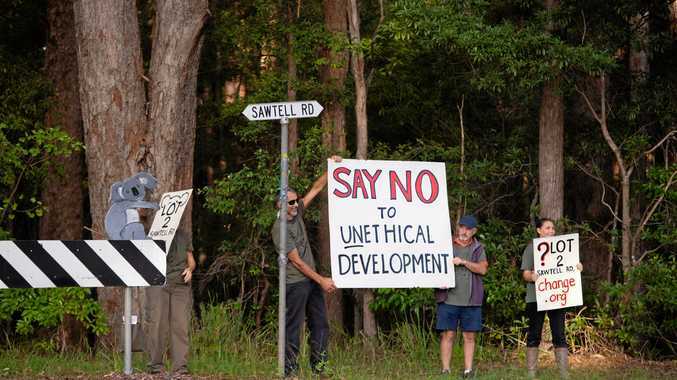 If you have a defence say it now.' He said, 'I won't do it.' Now, you can read into that what you like, but he didn't want to do it."